Joining a trend among universities across the country, Drexel University will develop a residential complex for its more than 1,500 Pennoni Honors College students, paying for part of the cost through a new $5 million donation, the school has announced. The funds, contributed by Greg S. Bentley, CEO of Exton-based software development company Bentley Systems, and his wife, Caroline, will be used to transform a student residence already under construction into Greg and Caroline Bentley Hall, a dorm for honors students. 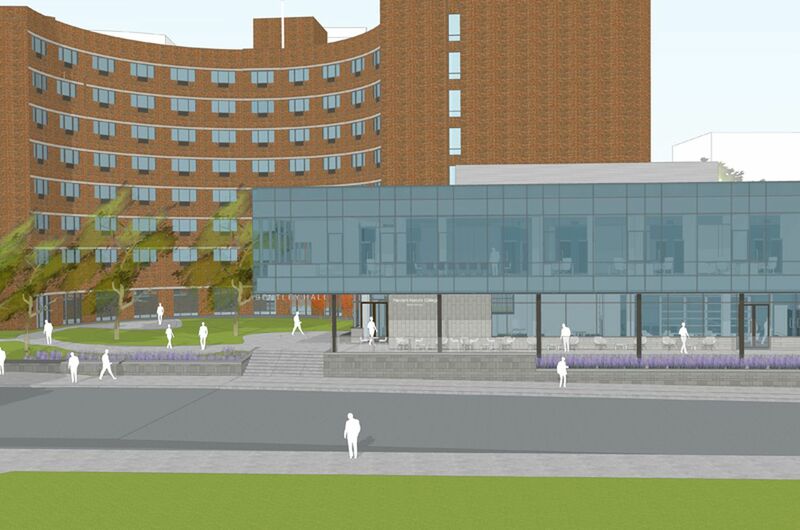 The money also will go toward a 10,800-square-foot, two-story glass and stone extension onto the building that will house three seminar rooms, study and social lounges, and honors college offices. So-called honors colleges, which have more stringent admission and academic requirements for students, have been proliferating around the country, along with programs to house those students. The University of Pennsylvania and LaSalle, St. Joseph’s, and Temple Universities are among the schools that have some honors programming and designated honors housing. Formerly the Drexel Institute of Technology before it was renamed in 1970, Drexel developed a pioneering cooperative program in which students could divide their college careers between attending classes and working. The Bentleys did not attend the school, but they have had a long involvement with the university, and Bentley Systems hires several Drexel students annually. With the new facilities, she said, “we’ll bring more students in our doors than we would before when we were scattered across the campus,” she added. The honors complex will create an “intellectual oasis” where “students from all disciplines can gather to discuss ideas, take seminar-style, cross-disciplinary courses, and learn more about opportunities for research, fellowships and mentoring on campus,” Marantz Cohen was quoted as saying in a news release. She said that some of the honors programming would be open to all students. In the first phase of the $35 million project, led by developer American Campus Communities, the residence hall will house about 380 students and open in the fall. The two-story addition is projected to open in 2020. The developer owns and operates three other student residence halls on Drexel’s campus, but the school will retain ownership of Bentley Hall. Greg Bentley, a Drexel trustee and the chair of the Pennoni Honors College Advisory Board, has advocated for a consolidated honors programming space for years. COURTESYRendering of Bentley Hall that includes the existing Calhoun Hall and the two-story addition. Drexel’s Honors College houses five initiatives: the Honors Program, the Office of Undergraduate Research, the Center for Interdisciplinary Inquiry, the Center for Scholar Development and the Center for Marketing and Media. A new Center for Civil Discourse is also in the works and aims to bring together students, activists, and experts in analyzing today’s political climate.